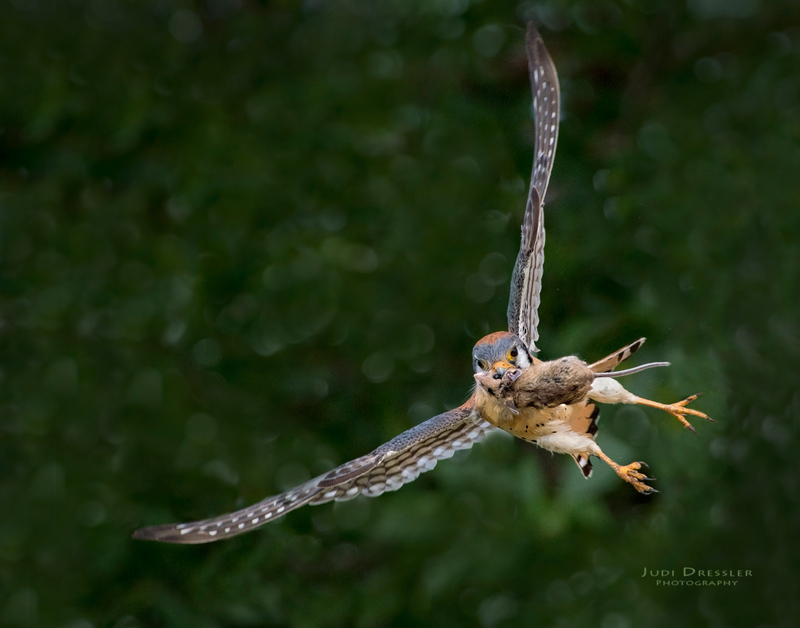 This male American Kestrel has the mouse in his beak rather than in his talons because he is delivering it to his babies in the nest. I watched him carry it over in his talons, and then he switched it to his beak so he could more easily deliver it. The parents worked so very hard, delivering two mice and a bunch of bugs, mostly crickets, in the two hour period I was watching. Photo taken June 17, 2017 in Thornton, Colorado. If you are interested in purchasing this image, or any others on this website, please check out the purchase page, or contact me. FYI, the large printed images only have a tiny watermark (signature). The large watermark on the images on this website are there for copyright protection.